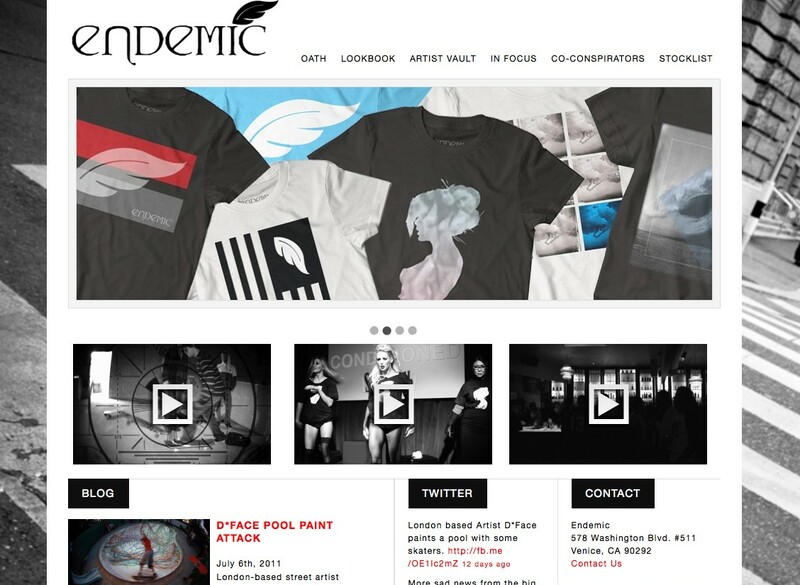 Media Parlour was happy to help Endemic Streetwear escape their hard-to-update flash website with a fresh new WordPress E-commerce website just in time to launch their new Fall/Winter 2011 clothing line. Endemic wanted to put the majority of the focus on their community outreach and blog content, while prominently highlighting their video content on the homepage. 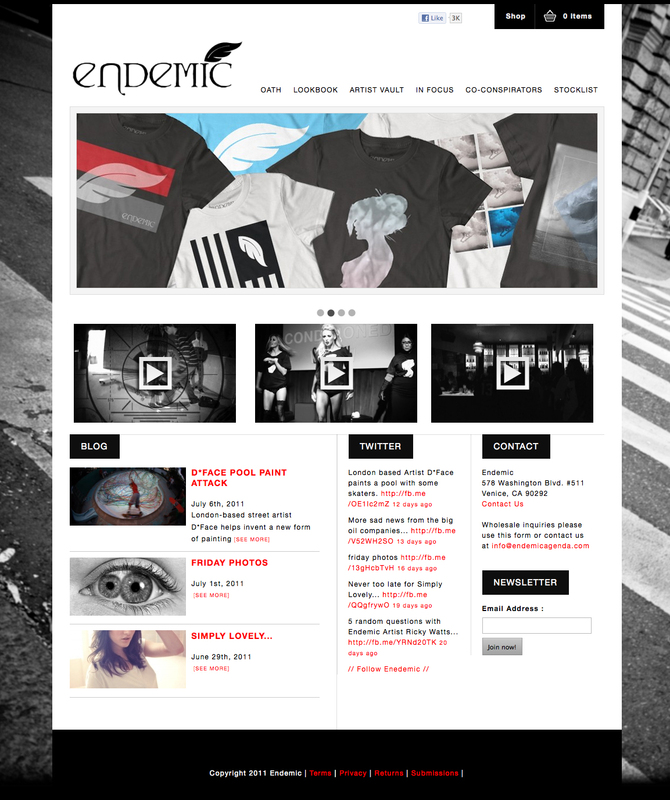 Check it out for yourself at http://www.endemicagenda.com and be sure to check out their awesome blog!